When you've finally figured out how much you owe HMRC, you'll need to pay them. Here are your options, and it's not as straight-forward as you may think! Tax is a certainty we can’t avoid. We know we have to pay it, but the means of doing so aren’t as straightforward as you’d imagine. A few payment methods exist but, as you may have found, the rules around these are complex and subject to change. For anyone who owes tax outside PAYE, it can be downright confusing. 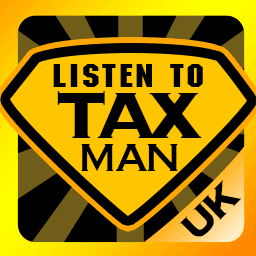 The main solution for many is going to be a digital payment via HMRC’s online payment system. You’ll need your UTR (Unique Tax Reference) code, followed by a ‘K’ to indicate what the sum is covering. The whole amount must be paid at once, from the same card, for a certain type of tax (i.e. ‘income’ vs. ‘capital gains’); otherwise it’s not going to be processed. Frustratingly, there are limits on how many times you can spend on the same card repeatedly over the year. The guidelines for this rely on “a view of what’s reasonable based on card payment industry standards.” It’s also worth noting that credit cards will no longer be accepted from the 13th January 2018 – so you better hurry. Traditional methods still exist, such as a cheque made out to ‘Her Majesty’s Revenue & Customs only’ (followed, again, by your UTR). Any deadlines are counted as the date of receipt, so you should leave at least three working days for delivery, and obtain proof of postage to allow for any mishaps. To make the cheque valid, you’ll have to pair it with a special pay-in slip, which can be printed here; just make sure the two aren’t stapled together, or folded up. From the 15th December 2017, post office payments will no longer be accepted. They used to process any obligations to the limit of £10,000 per tax period, but this option is being phased out. Banks, though, are still classed as a valid payment station: you can walk up and satisfy tax fees at the teller window. To do so, ensure you have paper statements from HMRC regarding what’s owed. Then follow the steps in our previous point, with a cheque and pay-in document. Unlike postal receipts, the government will count the day you paid up as the day received, even if it doesn’t hit their account for a short while. The easiest way might be a direct debit agreement, timed on or before the two tax deadlines (31st January and July 31st). The first payment will take five working days to process, but any others should cut that down to three, as your details are added to the database. It doesn’t end there either. There’s scope for phone payments too, if you’re keen on resolving them that way. Throughout all of this, however, you should be checking that HMRC’s summation is true to the state of your income. This article was sponsored and produced by GoSimpleTax, taking the stress out of managing your self-assessment. It’s the perfect tool to calculate what you might have to pay on account, or any other figure you’re liable for – try it now with a 14 day free trial to see how your non-PAYE finances can be utterly transformed.